Recollect software is available in 3 subscription levels, providing a solution for all sizes of organisations, collections and budgets. 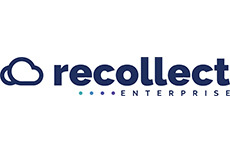 From the basic and quick setup of myRecollect to the fully customisable Recollect Enterprise for those organisations with larger collections with complex metadata. Start your Community Engagement journey by consulting with our expert team who analyse your collections and understand your requirements and advise you on which subscription fits your purpose. Whether it is community engagement or optimising the way you manage your collections – Recollect has a solution for everything to do with managing and engaging with digital collections.